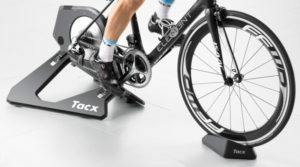 The New Kinetic Cyclone turbo trainer is an updated version of the original Kinetic Cyclone, and boasts upgraded features such as a large resistance roller that now fits 22” to 29” wheels. 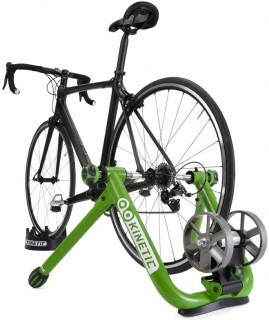 It is Kurt Kinetic's entry-level budget trainer option. Using a wind brake, the fan provides smooth and road-realistic resistance. Kurt Kinetic claim that they provide the only wind resistance brake on a cycle trainer that provides coast-down simulation, a precision machined roller to reduce back tyre wear, and speed-sensitive resistance. 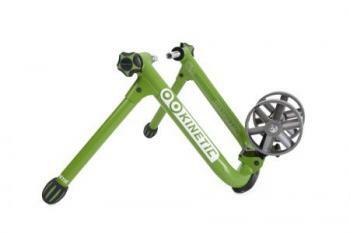 The New Kinetic Cyclone is a cheaper option compared to the other cycle trainers in Kinetic's range, and therefore is a good option for a more casual user rather than someone that is really looking to push themselves. The frame of the Cyclone is the same as the one used on the more expensive Road Machine and comes with a lifetime warranty. Like all wind trainers the Cyclone provides progressive resistance, and to increase resistance you would need to pedal faster and shift through your bike gears as you would on the open road.